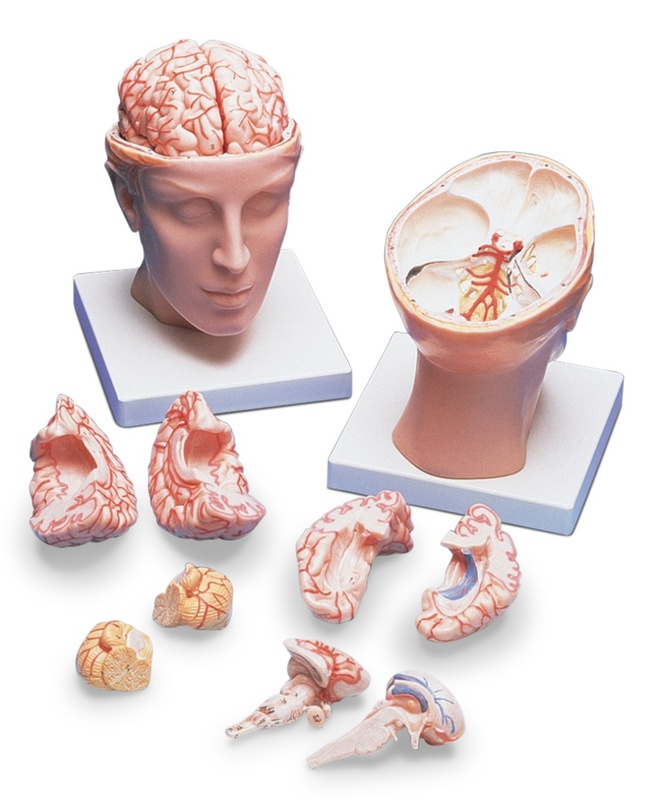 This Brain model with arteries on base of head is an 8-part brain model made in Germany by 3B Scientific. It is a 3B-C20 deluxe brain combined with an opened head allowing students and professionals for a comprehensive study of the brain’s position. This human head is horizontally divided directly above the base of the skull showing the brain arteries; aside from that, both halves of this brain model can be disassembled giving you a much closer view its structure including the frontal with parietal lobes, temporal with occipital lobes, half of brain stem and half of cerebellum. It is recommendable and mainly uses for studying the structures of the brain; perfect for students studying neuroanatomy and are having difficulties in visualizing brain structures. This model is accurate, well made, very detailed, and a perfect aid for educating both patients and students. Since both the brain and the inside of the skull are labeled with numbers, this brain model is highly efficient and very easy to use and understand. Great tool for education on the human nervous system and anatomy of the brain. DELIVERED WITH REMOVABLE BASE- This is delivered with a removable base for a steady presentation and perfect display when not in use. MEASUREMENT & WEIGHT- This has a measurement of 15x15x23 cm, weighing 1.6 kg. This model has been very useful in our cases that involve brain injuries. We're pleased with the quality. The price was reasonable. We encourage others to buy it. I mainly use this model for studying the structures of the brain and as I learn the processes. I needed a model like this because I was having problems visualizing the structures of the brain as I was studying the processes. I am new to this field but I think that the coloration is appropriate and it is highly detailed and labeled with numbers that correspond to a list that is included. Both the brain and the inside of the skull are labeled with numbers. This is really good for someone who can't go to an actual cadaver. This model helped my son a lot in his class of Neuroanatomy in med school. 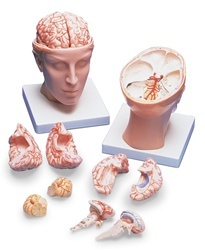 I use this model to assist my students with interactive learning of neuroanatomy. This model is realistic, well made, very detailed, and the head holder even has utility to help explain the physics of a TBI. I have not found anything that I do not like about this model.